We are delighted to introduce our new Network News feature! Our wonderful SCBWI Network Organisers work hard all year round to ensure that members have access to critique groups, workshops to develop their craft and events to socialise and celebrate each other’s successes. 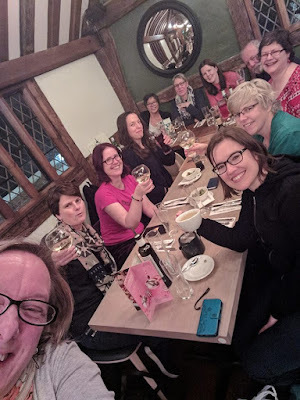 Grab a cuppa and find out what each SCBWI network has been up to and also the AMAZING upcoming events where you can learn, meet prominent authors and even agents! We started this year with a meeting in Bath with our new Network Organiser Rita Lazaro. Rita is an illustrator and will be helping develop the offering for illos in the region. In January, author Jo Nadin came to talk to members in Bristol and answered questions on plotting and publishing. She left them with a very long reading list. 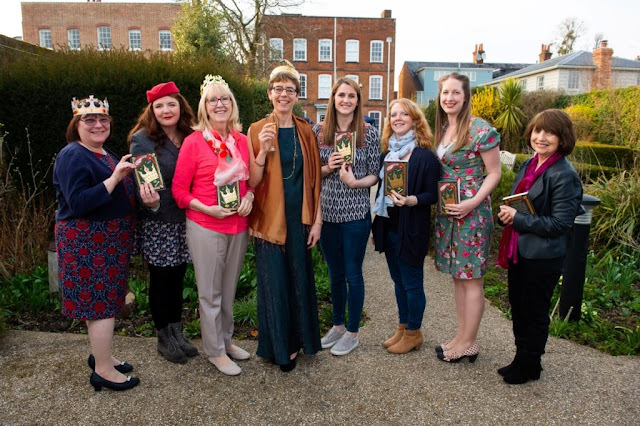 Critique groups for picture book, middle grade and young adult continue to meet every other month, and the Exeter Picture Bookers continue to connect in the south of the region. In Bristol and Bath, members meet monthly, alternating between the two locations. * Ask an Agent, Bristol May 23rd. * Ask an Illustration Agent, Bath, April 28th. So far this year we’ve already had three monthly meet-ups, all at Waterstones, Deansgate, Manchester. Most months, we attempt to fit in a morning critique followed by an afternoon member-led activity. In February, after another busy critique session, we took part in Jayne Fallows’ free-writing class. March was a slightly different month for us. SCBWI and MMU graduate, Matt Killeen, was taking part in the Lancashire YA Lit Festival at University Central Lancashire. Many of us attended to listen to him, along with Terri Terry, Lauren James and Annabel Pitcher. 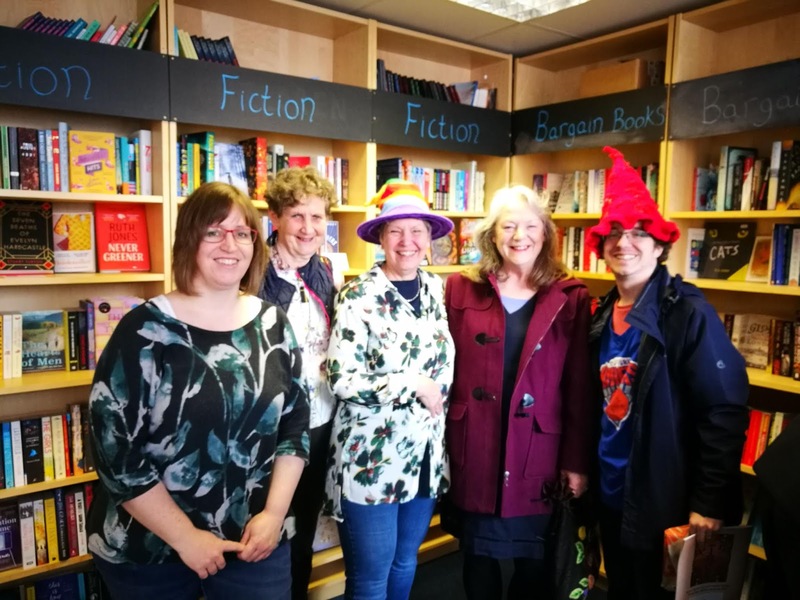 Also in March, we hosted a sell-out craft event, 'Character is Destiny' with CM Taylor, in partnership with Manchester Children's Book Festival and Manchester Metropolitan University. It was a great day, well supported and really informative. * Our next meeting is June 16th, again at Waterstones Deansgate. * Bookings are now open for our writers' retreat at Gladstone Library on 20th October. This is an informal get-together/write-in at this beautiful library, broken up by ridiculous amounts of food and coffee and evening chats. Members can book directly with the library. * Look out for a planned panel and agents 1-2-1 on 30th June. The region continues to flourish and grow as we take in new members. We have established a further six critique groups, taking our total to eight. We also now have county volunteers in Essex, Herts, Cambs, Beds and Suffolk. Our Norfolk county volunteer hopes to take on the role later in the year. In February, Cambridge volunteer Alina Surnaite, organised our first Scrawl Crawl of the year at the Sedgwick Museum in Cambridge. Alina aims to hold these popular events seasonally. In March, we held our School Visits Event (Part Two) with Helen Moss and Benjamin Scott. This was a hugely popular event with 26 members/non-members in attendance. The presentation/workshop lasted a full three hours. Everyone came away buzzing with ideas for their first/new school visit. We hope to make this an annual event. 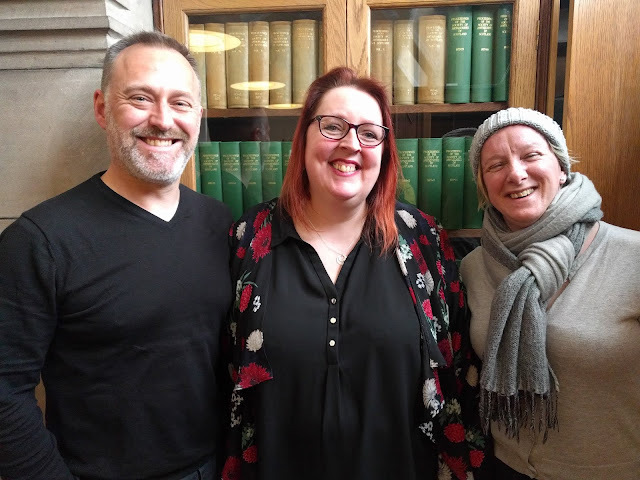 In January, we welcomed Suzanne Afford as our new Group Secretary as Anita ‘Fred’ Yorke stepped down to pursue creative pastures new, and Liz Miller joined Addy Farmer as Co-Coordinator. 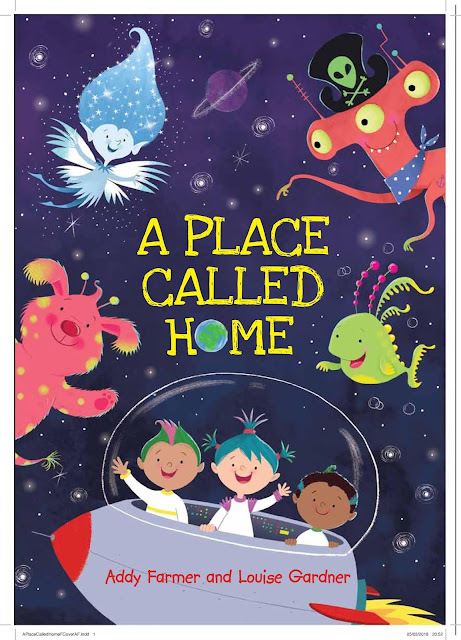 We are also very excited to announce that Addy Farmer will be launching her new book, A Place Called Home, illustrated by Louise Gardner, at the festival from 12.15pm. Do come and join us to celebrate! * Brunch in Nottingham, Tuesday 8th May. * Newark Book Festival book launch and panel discussion, Saturday 14th July. Our busy network started the year with a bang! With Peta Freestone at the helm, we were guided through the murky maze of procrastination and revision apps, along with fantastic hints and tips to get us on our way. We all left with a new 'just get it done' attitude change to our writing and illustrating time. As a sociable network, we had the pleasure of welcoming award winning author Peter Bunzl to our Spring meet up in March. Along with our special guest, this event was a chance to catch up with fellow members as we confirmed some very exciting events we have planned for later in the year. 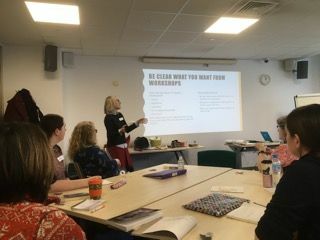 Our latest event, An Introduction to Scrivener, was hosted by member Caroline Deacon and was a brilliant journey into the world of the app and how it can help you as a writer/illustrator regardless of whether you're a plotter or a pantster. * June 9th, the Society of Authors in Scotland chair, Linda Strachan, will be on hand to help our published & agented members make their way from first deal to launch day and everything that comes in-between. * Illustrator Dave Gray is heading north on June 16th to host a picture book event in the new Carnegie Dunfermline library for our writers and illustrators. * We are also thrilled that Patrice Lawrence will be joining us on September 15th to get us all writing the characters we really want to! Everyone is welcome, we look forward to seeing you. If you're heading up our way, get in touch. A big change over the last six months has been that Anita Loughrey has stepped down from her role as joint South East Network Organiser. Anita has worked so hard for the network over many years and is maintaining her SCBWI links but is now moving onto exciting pastures new and we wish her every success. Thank you so much Anita! Fiona Barker, who has been editing the SE newsletter for the last year, has agreed to take over Anita's role, working alongside Jane Haryott to keep the busy, varied critique and social groups informed of what’s going on in the South East. The South East members have been very productive this year with several book launches including Ally Sherrick (The Buried Crown), Alison Donald (AdoraBULL), Shalbey Bellaman (Dragons In The Looking Glass), Katrina Charman (Car, Car, Truck, Jeep; The Whispering Oak; Lullaby Lake; Titanic; Endurance In Antarctica), Elaine Wickson (Planet Stan), Cath Howe (Ella On The Outside), and Suzie Wilde (The Book Of Bera). Two Reading critique group members, Fiona Barker and Meredith Vigh, have been successful in securing representation from Alice Williams at David Higham Associates and Megan Carroll at Watson Little respectively. Finally, we’re all waiting with baited breath to find out whether short-listed author Clare Rees is going to win The Times Chicken House prize. That’s just the news we know about! So, there is much to celebrate! What all our critique group members emphasise, though, is the support and fellowship they get from their friends in the various groups. The finger of fate is fickle and success can sometimes feel a very distant prospect. That’s when the support from your fellow writers and illustrators really comes into its own. We’re very lucky in the South East to have such a broad range of experience within our diverse social and critique groups. We’re still promoting and building our numbers across Wales (it is a whole country after all!) but the good news in 2018 is that we’ve just had our first official North Walian meeting and also started groups in Abergavenny and Swansea. 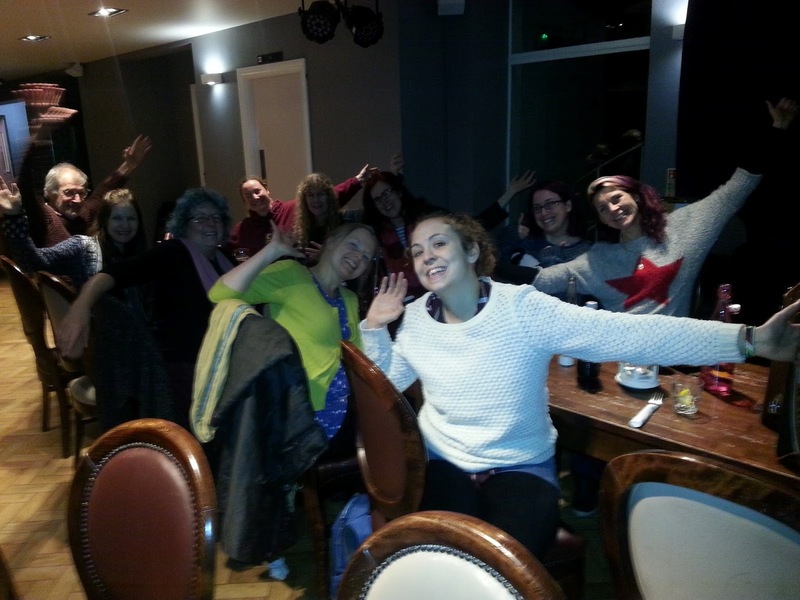 The Cardiff group continues to thrive with monthly get-togethers, along with workshops, write ins and scrawl crawls in the offing. And our critique groups for picture bookers and MG/YA writers are also ticking over. We’re also popping up at local festivals, most recently at Abergavenny’s Writer’s Festival and the Cardiff Children’s Literature Festival. In March, author David Thorpe’s workshop promised to use different aspects of psychology to bring our characters and writing to life. He spoke about his epiphany re making his characters jump off the page, which was to properly engage with real human emotion i.e. our own. We agreed that our characters don’t have to be likeable but if they’re not, the reader should still feel empathy towards them and care about what happens next. And by understanding your own emotions, you can make the reader care. He noted that his success came when he was more honest with himself, which opened emotional engagement within his writing and also opportunities, which may otherwise have remained closed. So, take note all! We’re still setting dates for the coming months but topics will include: school visits and writing workshops for children, publicity and self promotion, and drawing on the right side of the brain. Dates and venues can be found on the SCBWI Wales Network page or the main SCBWI website ‘Events’ link. 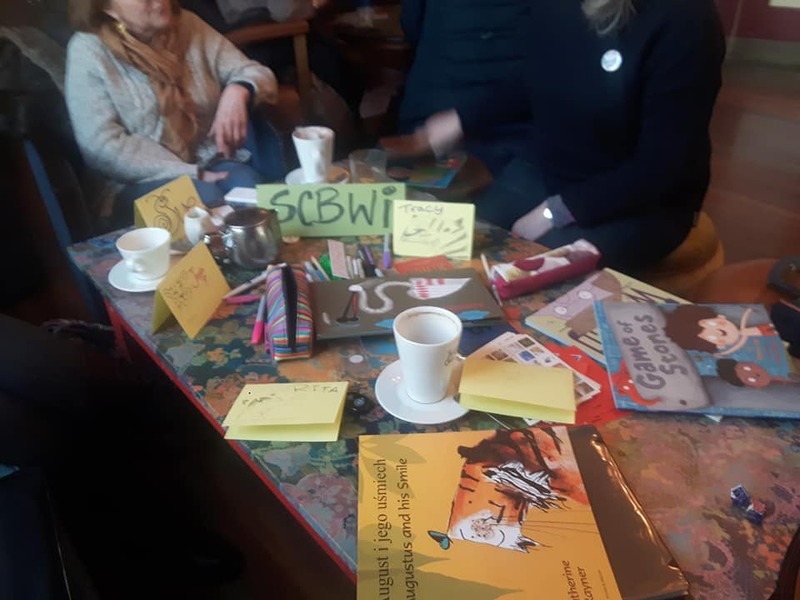 The Northeast region of SCBWI BI covers a large area, from West Yorkshire up to Northumberland and has two centres, with monthly critique groups running in York and at the Seven Stories National Centre for Children’s books in Newcastle. Numbers are steadily growing, but we always welcome new members! We have had a great year so far with one of our newer members, Jenny Pearson, being longlisted for The Times Chicken House Children’s Fiction Competition. This was thoroughly deserved, and we are very proud of her. Em Lynas has also recently had her second book, Get Me Out Of Witch School! published. A few of us went to support her during her book launch in Saltburn. Witchy hats were worn, and witchy cakes eaten! * Claire has organised an exciting event in York for illustrators on 23rd June on narrative sequence in picture books led by Sara Ogilvie. Sara Ogilvie is a Children’s Picture Book Illustrator and a printmaker. She has recently illustrated The Detective Dog, written by Julia Donaldson, and was the 2011 Booktrust Best New Illustrators Award winner. Dogs Don’t Do Ballet, which she illustrated, was also shortlisted for the Roald Dahl Funny Prize 2001. There are 1-2-1 portfolio reviews available with Sara too. You can book at https://britishisles.scbwi.org/events/north-east-workshop-character-development-and-effective-narrative-sequence-picture-book-illustration-workshop-with-sara-ogilvie. * We also have a workshop on plotting and writing characters with different backgrounds led by Patrice Lawrence coming up in the Autumn. Patrice is a British writer and journalist, who has published fiction both for adults and children. Her YA novel, Orangeboy, won The Bookseller′s YA Book Prize 2017, the Waterstones Children's Book Prize for Older Children 2017, and was shortlisted for the 2016 Costa Children's Book Award. We have an active, closed Facebook group, providing support and sharing details of local events. You can ask to join the group, which is at SCBWI BI NE. This year the London Network Organisers Tania and Larissa are running events with the Industry Insiders team Mandy and Jenny, and are joined by volunteer Janey Robinson. In March, we gave writers a chance to review their work with agents and editors in one-to-one sessions with Felicity Trew, Thérèse Coen, Julia Churchill and Chloe Sackur. The first Industry Insiders talk at the City Lit, From Writer to Author, with SCBWI authors Kathryn Evans and Sue Wallman and their agents Sophie Hicks and Becky Bagnell gave a fascinating view of the author-agent relationship. London Socials have given our members a chance to mingle with best-selling author Caroline Lawrence and Peter Bunzl of the beloved Cogheart series. Annette Caseley continues to give people the chance to meet at the daytime brunch. While Kate Abernethy has invited special author guests to the popular Book Club at Waterstones 5th Floor, including Costa-winning author Jason Wallace. Members of the book club enjoy the company of YA author, Jason Wallace. * 12th June: Pulse Carnegie Discussion event. * 3rd July: Writing Other Lives panel with Candy Gourlay, Lisa Williamson and Bella Pearson. * Look out for a Summer Social – details coming soon. in the hostel restaurant at the Stratford-Upon-Avon retreat! Weekly Write-Ins now take place in Kings Heath, Birmingham on Thursdays from 9:30am-3pm during term times. After our first Writing/Critique weekend in Stratford-Upon-Avon was such a success, we now plan to run it twice a year. The next one will be Friday 14th to Sunday 16th September, please get in touch with Clare Bell if you are interested in going. Clare Bell and Natalie Perry will be handing over our coordination of Central West to someone else very soon. We are currently in the process and will let you all know who the new coordinator will be once everything is confirmed. If you are interested in helping the new coordinator in any way, please do get in touch. 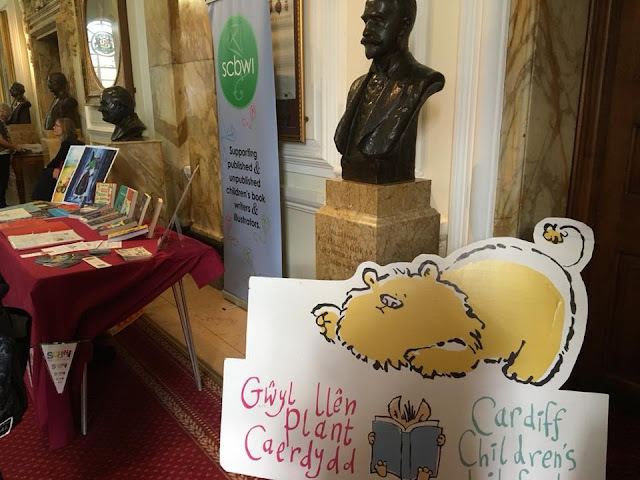 Anything from organising an event to wanting to put a SCBWI poster in your local library, we welcome it all. Featured Image courtesy of Sarah Broadley.